What can be more romantic than a castle? They are found most often in the fairy tales of our youth and the legends of long-ago-and-far-away expanded upon in books and on screen. Everyone has their favourite from the Prince’s castle in Sleeping Beauty to the castle of the villain, Count Dracula. In this article we will explore three castles representing three different types of romantic castles: the “fairy tale “castle, the castle hotel, and the castle ruins of a legend. 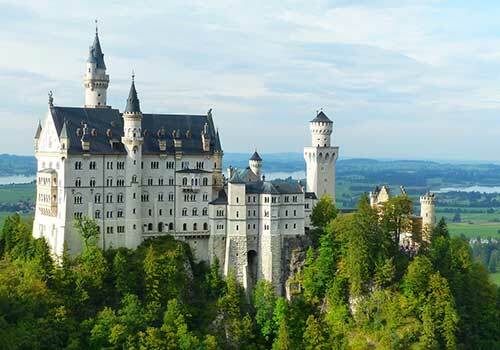 No listing would be complete without mentioning the ultimate vision of romance and castles: the Neuschwanstein in Bavaria. Commissioned by Ludwig II to copy and improve upon his childhood home, the Schloss Hohenschwangau, it is a recent addition to the world of castles having started construction in 1868 and completed six years after his death in 1892. The original older castle is still there in view of the newer one, eclipsed in grandeur and style. Ludwig, who was a romantic himself at heart and lover of music and the arts, put all his ambitions and dreams into this edifice once his regal power was all but lost to Prussia in the aftermath of the Austro-Prussian War. Perched high upon a rocky hillside, it dominates the view from the surrounding countryside. In the town with the same name as the older castle, you can purchase tickets for tours of Ludwig’s dream castle open year-round. 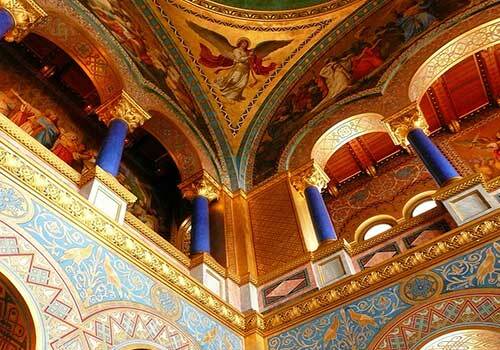 It has been available for public viewing since his death in 1886 and attracts upwards of six thousand visitors a day. To avoid crowds as with any popular tourist attraction the off season, and early or late day is best for touring. Located in an area of the same name in Gloucestershire, England, this castle is really a Tudor country house not actually having any architectural elements serving as battlements. It was built as a home for the 3rd Duke of Buckingham in 1511 on the ruins of a much earlier residence of the 10th century. The original house was occupied by the Duke of Bedford who was beheaded on orders of Henry VIII for treason, not proven. And the romantic part? King Henry and his wife, Anne Boleyn stayed at the castle for ten days during their marriage before she fell from favour. Wander the grounds and imagine the infamous couple are just around the corner or behind that hedge. 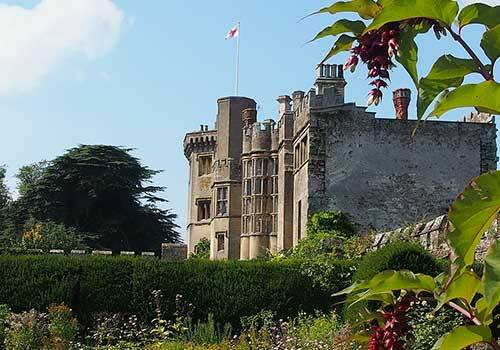 Thornbury Castle is now a luxury hotel with a renowned restaurant so you can stay in the Howard or Plantagenet Rooms, dine on haute cuisine, or even exchange your vows on site. Fans of the legend of King Arthur, Merlin, and the Knights of the Round Table, this one is for you. 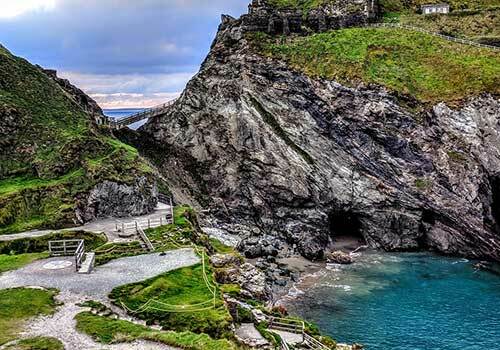 Tintagel Castle is in ruins, but it is still a draw for visitors not only for the legend but for the rugged beauty of its surroundings. 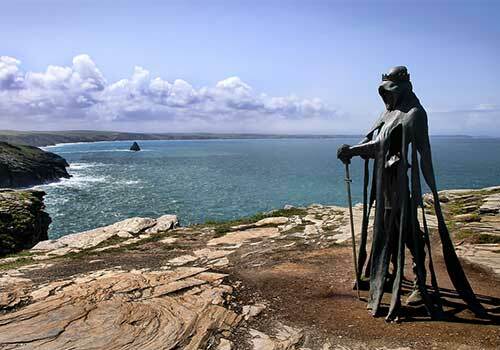 Tintagel is situated in Cornwall, England on an island of rocky cliffs along the coast from Padstow. Here you can roam the beach and Merlin’s Cave (tide dependent), walk the Southwest Coast Path, climb the 148 steps to the island, explore the ruins, enjoy a visitor center, or dine on local cuisine. 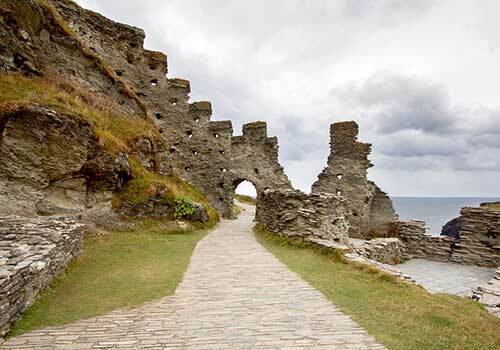 Tintagel was a very busy and active settlement until the 6th century. This would be around the time of the legend of Arthur supposedly conceived in deceit on this island. Merlin the wizard lived in a cave on its beach. The ruins do not date from this time but rather from much later, the 1200’s, when Geoffrey of Monmouth recorded the tale. True or legend, the island and its tale evokes the romance of an other era. These three romantic castles are just a mere few of the hundreds of castles one can visit around the world, each with its own tales of romance, intrigue and often times, treachery, and death. If you wish to view many romantic castles from afar in one day, ask your travel professional about a river cruise that sails through the Rhine Gorge in Germany. There are upwards of fifty plus castles along this 65-kilometer stretch of the Middle Rhine. Feature photo of Thornbury Castle Gardens and main image of Neuschwanstein Castle courtesy of Pixabay.